Casino gross gaming revenue (GGR) in Macau rose by 5.7 percent year-on-year in February, to MOP24.30 billion (US$3.01 billion), according to data from the city’s regulator, the Gaming Inspection and Coordination Bureau, released on Thursday. The latest monthly result puts the market’s accumulated 2018 year-on-year growth at 19.7 percent, or MOP50.56 billion. February included the Chinese New Year holiday, which typically sees a spike in visitor numbers and in GGR, although a number of investment analysts have pointed out that at other times of the year Macau visitor volume is not necessarily a predictor of GGR volume. 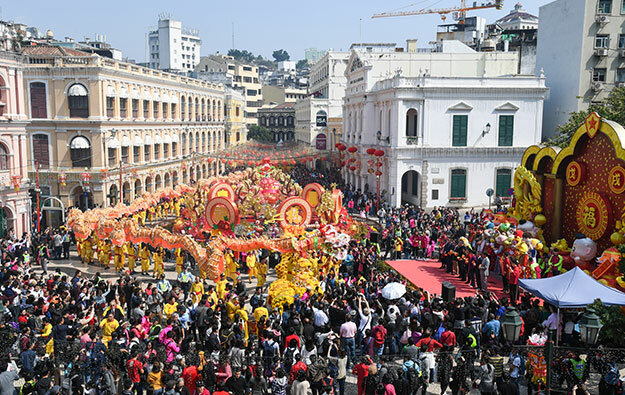 Macau’s visitor tally in the seven days of the Chinese New Year holiday – between February 15 and 21 – rose by 6.5 percent year-on-year to 963,265, according to preliminary figures reported by the Macao Government Tourism Office. “Clearly there was a rather sharp drop-off in GGR as the Chinese New Year holiday came to a close, with the holiday period seemingly front-end loaded (the first weekend was busier than the second),” said analyst Grant Govertsen of Union Gaming Securities Asia Ltd in a note following Thursday’s February GGR announcement by the Gaming Inspection and Coordination Bureau.